This week the challenge is to celebrate YA books published before the year 2000. So as not to inundate you with Harry Potter, I am going with a somewhat less celebrated series. I first heard about Sabriel soon after I started reading YA in earnest a few years ago. I did not read it back in 1996 when it was first published, but rather 20 years later. It was fascinating to see how many elements of the books felt familiar or unique after all that time. 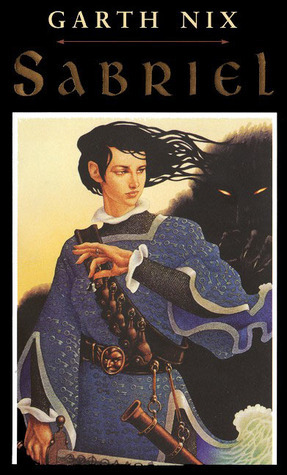 I love Sabriel because it was one of the first necromancy YA novels I ever read. I also found the world unique and captivating. Of course now, even after a couple years of reading more YA, a world half closed off to magic feels commonplace, but I loved it! Now there are follow up novels, and the series has grown so much larger, but I think the first book will always be my favorite. I plan to read the rest someday, because I love the magic system. Controlling undead spirits with bells? Sign me up. The talking animals in this series are also great, and the books would fall flat without Mogget’s snark. Excited to see what other Old School YA recommendations people have. Happy Friday! The bells are so cool! And Mogget of course!